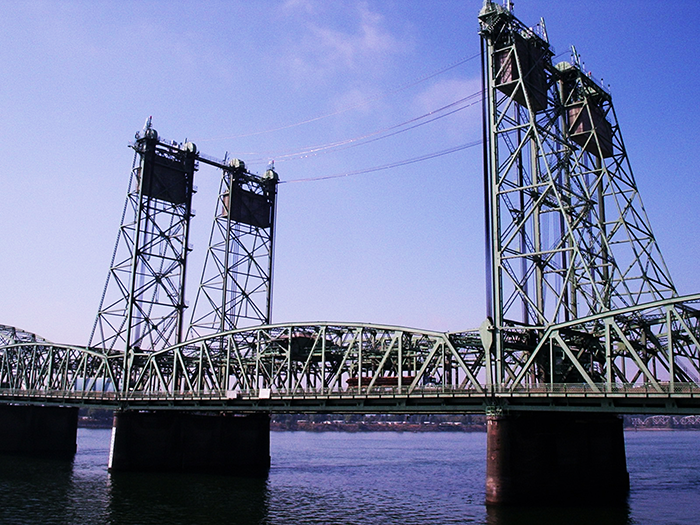 The Oregon Department of Transportation (ODOT), as part of its statewide structural health monitoring (SHM) program, wanted to improve its monitoring of the Interstate 5 Bridge near Portland—a steel bridge approximately 3,500 feet in length with 16 spans. ODOT was particularly interested in the southbound portion of the bridge, which conducts traffic from Washington into Oregon over the Columbia River. At each end of the southbound lift span, a counterweight is positioned to help raise the span for ships passing underneath. When the lift span is raised, the counterweights move vertically along guide rails. ODOT’s goal was to improve its ability to monitor the structural performance of the lifting system. With this data in hand, ODOT could make appropriate adjustments to the balance of the lift system. To quantify the performance of the lift span and counterweight system, ODOT used the consulting firm Engineered Monitoring Solutions (EMS), drawing on their background in structural health monitoring systems. EMS designed and installed a monitoring system using a network of CR1000 dataloggers, tiltmeters, and laser position sensors to monitor the lift span and the counterweights’ positions relative to the guide rails. The dataloggers are positioned on the counterweight blocks, on the lift span, and in the operator’s control house. Because ac power is not available when the blocks are lowered during a lift event, the dataloggers on the blocks are solar powered. The dataloggers collect sensor data once every five seconds during a bridge opening event, as well as once every four hours to identify any historical movement trends. The networked Campbell Scientific dataloggers communicate across the system using RF401 spread-spectrum radios. The dataloggers calculate and transmit data to a server on the ODOT computer network running LoggerNet software. Structural performance data is automatically loaded into a database and presented to the bridge engineers over the computer network. Bridge engineers access and evaluate lift event data related to the lift span and counterweights, enabling them to make quick decisions regarding the ongoing safe operation of the I-5 Bridge’s lift system.